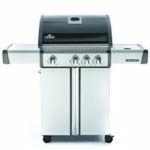 If you are someone that loves firing up the backyard grill for summer cookouts, then you should find this page beneficial. 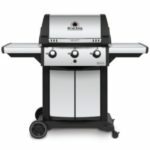 We’ve listed the best natural gas grills that truly make a grill important. Those optimal grills that grill backyard cuisine to perfection! These are the best natural grills that money can buy with each being budget and user-friendly. 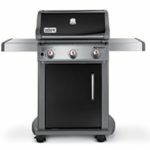 The grills are highly rated among consumers like you who want useful features, top made construction, convenience and simply the best grilling experience along with tasty cuisine. 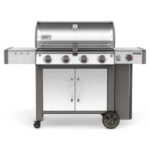 The grills listed on this page are natural gas grills, so natural gas must be plumbed out to the patio or deck. Each offers different options for the personal preference of the backyard chef, such as cooking space, features, and price. 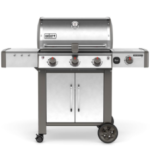 Each of the grills have pros and cons (which you read more about in the full review), but for this page, we are only discussing the top rated natural gas grills for 2019. 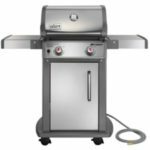 These top-rated grills will take backyard cuisine to a new level of juicy, tender, and “must have more.” These outstanding outside appliances also take grilling to a new level with technology and innovation puts the grills at the top of the charts. Have a look below to shop and compare the ideal grill for your liking.